1887 N28 Allen & Ginter Jimmy Carney. N28 cards are the most common of the 19th Century tobacco boxing cards and among the easiest to collect in high grade (ex or better) because they are printed on thick, high quality cardboard. 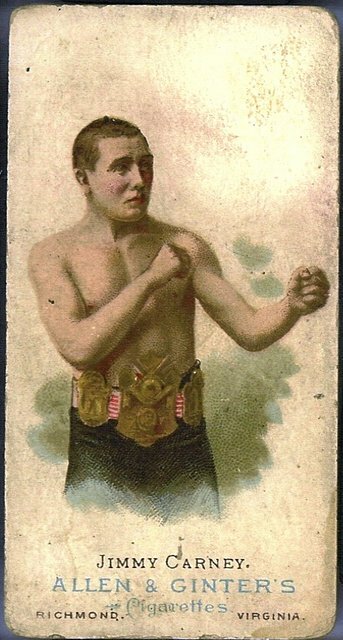 The set consists of 50 cards, ten of which depict boxers. On the card backs is a checklist of the issue.